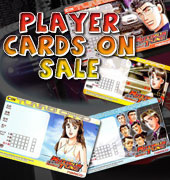 OBSN-24 screw-in button is another quality arcade part from one of the best arcade parts manufacturers - Sanwa. 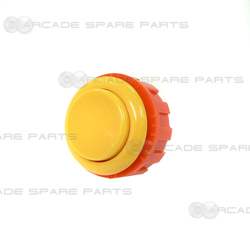 Sanwa OBSN-24 button is widely used for Start buttons in Japanese cabinets like Blast City, Versus City, etc. It features a slightly convex plunger and screw-in installation (can be mounted in material with a thickness from 2 to 5 mm). It is smaller than the Sanwa OBSN-30 button, with an overall diameter of 28mm. Other than installing the buttons into an arcade machine, you can replace the stock buttons on home console controllers such as the Hori Real Arcade Pro 3. You can also use the buttons to build your own custom controller. This size button would be suitable for start buttons or equivalent.